In-Flight Crew Connections ranked No. 415 on Inc. Magazine’s list of 500 Fastest Growing Companies. In-Flight Crew Connections, which provides professional corporate pilot and flight attendant solutions for the corporate aviation industry, was ranked No. 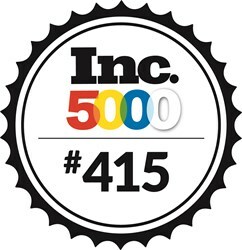 415 on Inc. Magazine’s list of 5,000 Fastest Growing Companies for 2013. In-Flight Crew Connections provides a niche aviation personnel staffing service. They primarily serve large corporations and individuals operating private business class jets. They are based out of Charlotte, NC and were founded in 2002. According to Inc. Magazine, In-Flight Crew Connections has experienced a three-year growth of 1,083 percent. Their 2012 revenue was $6.9 million, a big increase from their 2009 revenue of $585,023. In 2012, In-Flight Crew Connections had 332 employees and has added 294 jobs in the last three years. Inc. Magazine also recognized In-Flight Crew Connections as No. 3 on the list of Top 100 Travel & Hospitality Companies and No. 10 on the list of fastest growing private companies in North Carolina. In-Flight Crew Connections not only provides on-demand staffing of pilots and flight attendants, but they also A & P technicians, ground crew, flight control and dispatch. They also provide payroll compliance management services, recruiting/placement and global aviation staffing. Find out more about In-Flight Crew Connections’ aviation staffing services by calling 704-236-3647, or visit http://inflightcrewconnections.com. In-Flight Crew Connections has been a global leader since 2002, providing aviation industry staffing solutions. Ranked as one of the fastest growing staffing firms for two years in a row, as well as part of the Diversity Staffing Company list, In-Flight provides professional and experienced personnel. Focused on developing customized solutions that meet the unique needs of their clients, their range of services include: ONe-CALL™ Temporary Crew Services - on-demand supplemental flight crew staffing for pilots, flight attendants, schedulers/dispatchers, aircraft maintenance technicians and engineers; online payroll management; recruitment and international staffing. For more information on all of the flight crew services provided, visit their website.